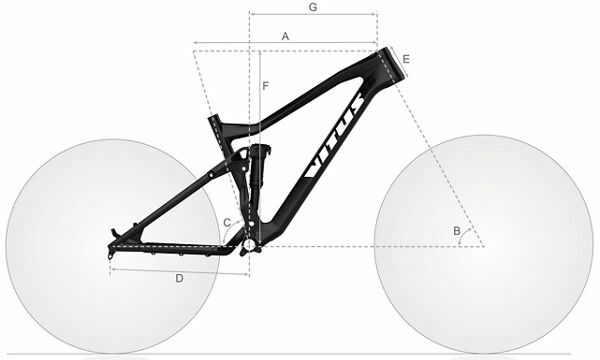 The building block of the Vitus MTB range, the Nucleus has inspired many iterations across their high-quality roster. Bringing brilliant trail geometry and quality components together in an entry-level model, it has MBR award pedigree to back it up. The Nucleus 275 VRS Mountain Bike benefits from a quality construction which features low, long and slack geometry for making the most of climbs, descents and sprints through varied trails and terrains. Kitted out with hard-working components, it lets you ride with confidence and aggression, no matter what your route throws at you. The 120mm travel SunTour front forks absorb every impact on your run as you are pushed on by a superb Shimano Acera 2x9 drivetrain. Keeping you in control are powerful Tektro hydraulic brakes and the frame is designed to feature dropper post routing for future upgrade potential. An excellent addition to the foundation range of Vitus' MTB offerings, this ultra-capable hardtail will take your riding to new heights.